from a cold steel railC? A smile from a veilAm? Do you think you can tellG? Hot air for a coolG breeze? For a lead role in a cageG? * HowC I wish, how I wish you were hereD. RunDning over the same old ground. 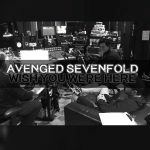 * How I wish, how I wish you were here.